Russia. Rostov-on-Don. 9 September 2015. 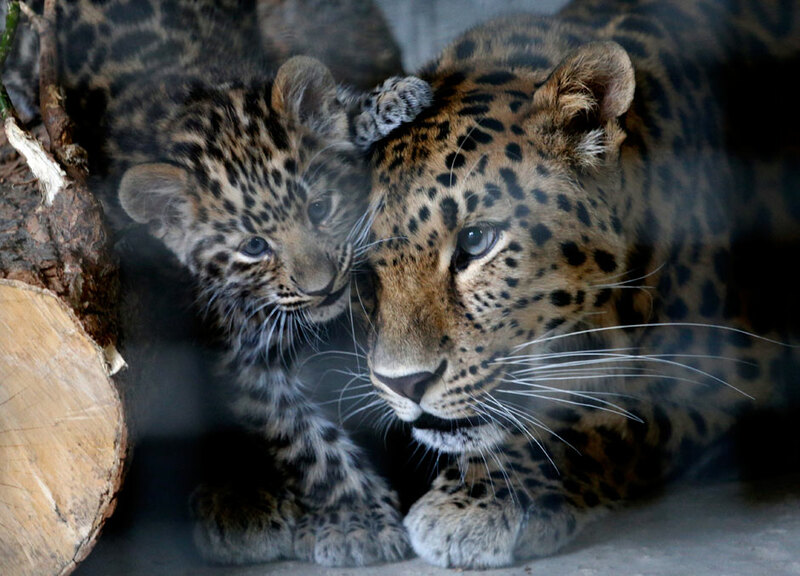 The female Amur leopard with a cub in a zoo enclosure.